Celebrating 14 Years in Business in the Snoqualmie Valley! 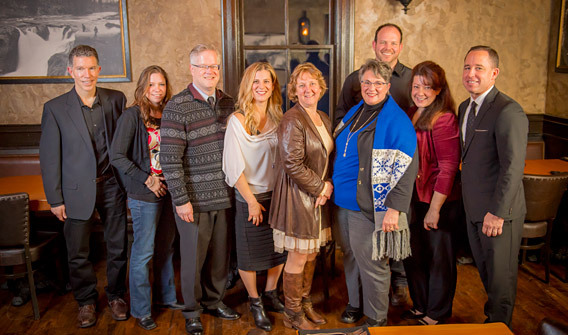 Left to Right: Scott Holz, Debi Hill, David Cook, Karin Ayling, Karin Simpson, Kathy White of Graystone Mortgage, Brian Davis, Regina Bronner and Brad Toft of Graystone Mortgage. Click here to read more about Karin . . .
As your REALTOR, my focus is to successfully achieve your goals - whether it is to purchase your dream home, sell an existing property or locate an investment property. Buying and selling a home is one of the biggest events in your life. 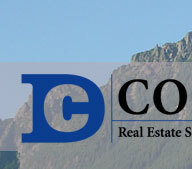 As part of the Cook Real Estate Team, I can and will put my resources, experience and my expertise to work for you. I pride myself on my ethics, integrity and customer service. I treat each transaction as if it were my own. I am detail oriented and know that addressing the needs & concerns of my clients in a timely way is the most direct way of assuring a smooth & successful transaction. I provide my clients with the information they need and ongoing communication throughout the entire buying or selling process. I have lived in the area my entire life, growing up in Renton/Issaquah, and then remaining in the area living in down town Seattle, Kent, Maple Valley and now North Bend. I have a Bachelors of Science degree in Computers. My hobbies and passions aside from Real Estate are skiing, trail running, biking, hiking, swimming, reading, and home decor. My passion for houses brought me into the Real Estate business over 10 years ago. My mother, Carole Sattler has been a Real Estate Sales Associate for 35 years so you could say it is in the blood. It is my goal to help you realize an extremely positive and enjoyable Real Estate experience. Your satisfaction is very important to me. Please feel free to contact me with any real estate questions you have. My vision is simple: To be the best advocate for my clients while providing a comprehensive and successful transaction for them. I have 7 years of real estate experience in contract negotiations, sales, leasing, management and marketing. I am committed to helping others by providing a high level of customer service that gets the best results for my clients. I have clients all over the greater Puget Sound area, including King, Snohomish, Pierce and Whatcom Counties. I love spending time with my growing family (Nikki and baby Davis due June 2015)! We are constantly looking for things to do outdoors no matter the weather. From hiking, to running, to long walks with the dogs, we love our extended community of the Snoqualmie Valley. This is a fabulous area to call home and we cherish all the hidden gems around us. From the incredible mountain views to the access to the river and open spaces. Snoqualmie Valley and its surrounding areas is a perfect spot for us! I look forward to hearing from you and learning about your story! Hi! My name is Deborah Hill and I have lived in this beautiful valley nestled below Snoqualmie Pass for almost 18 years and I LOVE it here! I have an extensive background in Escrow. I started working for a small company and was able to learn the ins and outs of Escrow. Because the company was small I had the opportunity to manage the company in its day to day processes as well as balancing large trust accounts. I also spent time learning the title side of the business as well. Working with people and problem solving has always been my favorite part of working in the real estate business. I took some time off to raise my children. My youngest is going in to High School and I knew it was time for me to follow my dream of wanting to become a Licensed Real Estate Agent. I love putting pieces of a puzzle together and it was a natural fit for me to progress to a Licensed Realtor. I’m excited to help people achieve their hopes and dreams of homeownership. I am involved in the community, I have a long history of volunteering at my children’s schools and love all the area has to offer. I would like to share that passion with you in finding your dream home. Whether you’re a first time buyer or looking to upgrade, or are ready to sell, I am here to assist. I grew up helping my Dad with his real estate business. I learned that the best way to serve people was to listen and thoroughly understand their real estate objectives. People are my passion and helping them to obtain their real estate goals is my primary purpose. I will help to accomplish completing these goals every step of the way. I strive to create long and meaningful relationships with every client I serve. When you're buying or selling a home, you need to know your Realtor is advocating for our interests every single step of the way. That's what I do for my clients. They know that I take the time to get to know them, and then together we develop a plan for meeting their needs. I will work hard to earn your trust by listening to you and then providing you with enough information so you can make informed decisions. Deciding to sell your home, and deciding to buy a new one, are huge decisions for you and your family. You need someone with demonstrated honesty and integrity to work with you during this process. You will always have all of the information, and I will always make the time to answer any questions you may have as we work together. You will want to make sure that you have a skilled negotiator working for you, because in real estate, the difference between a positive experience and a bad experience often times comes down to effective negotiating. I have 15 years of negotiating multi-million dollar promotions and venue contracts with commercial real estate operators and city-owned convention centers. I have also negotiated deals for as little as $50,000. I will negotiate the best terms and conditions for you without alienating the buyer or the seller or anyone else we are working with. By developing an honest, open working relationship, we can work together to meet your goals. Let's get started. Click here to read more about Karin . . .
My main mission is to deliver excellence in real estate. My passion and motivation is providing my clients with the highest level of service, professionalism, honesty, and dedication. Through this I hope to reach the best possible outcome while working to meet my clients' goals. I deeply value a strong work ethic and strive every day to ensure my clients are satisfied with my performance. As a resident of Snoqualmie Valley I am constantly falling more in love with the area as I continue to discover its beauty. My great passion is spending time in nature through hiking as well as observing and searching for interesting native species of trees and plants. I have a master’s degree in horticulture and many years of experience as a landscape designer and building estimator. My clients will benefit from my experience, analytical skills and creative problem solving. I am also fluent in Polish and converse in Russian. Your success is my success. I would love the opportunity to work with you.